Found among the Mid-Ohio Valley’s rolling hills, lakes and streams, North Bend State Park offers a multitude of recreational facilities in a beautiful pastoral setting. Named for the horseshoe curve of the North Fork of the Hughes River, this year-round park is lush with fishing streams, hiking trails and abundant wildlife. Located near Cairo and Harrisville, North Bend State Park is best known for the 72-mile North Bend Rail Trail, which follows an abandoned B&O Railroad corridor with several tunnels along the way. North Bend also offers special packages throughout the year. To see what is currently offered, click below on "Special Packages." North Bend has two campground sites that will suit your every need. River Run Campground has 49 sites, 26 of them have electric hookups and is open from mid-April through Thanksgiving (the 4th Thursday in November). Cokeley Campground has 28 sites with electricity and water hookups. It’s open from May 1 and closes for the season on October 31. Each campground has ADA-compliant sites. 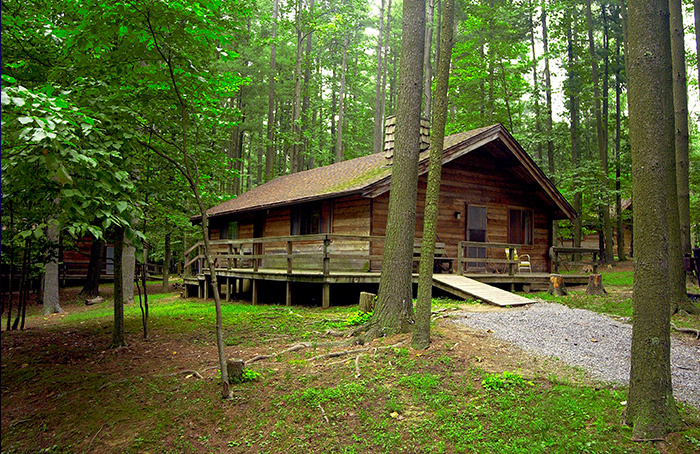 West Virginia State Park campground reservations are available from Memorial Day through Labor Day each year. Campgrounds are open on a first-come, first-serve basis through October 31. A campsite reservation application is available by clicking on "Reserve A Campsite" below.